A natural paradise on the banks of the Guadalquivir. 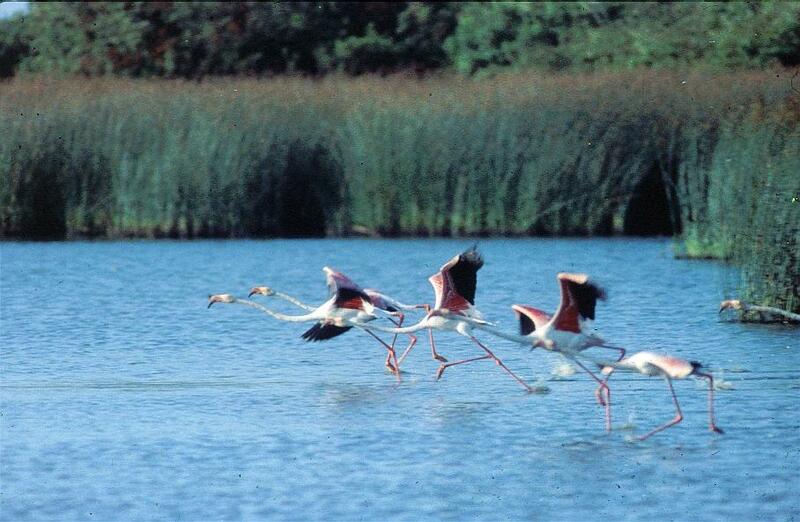 The whole province of Seville and the natural spaces that it lodges are at our disposal from the andalusian capital. The Guadalquivir river, in its mouth to the Atlantic Ocean, has created, between Huelva and Seville, a set of singular ecosystems. Salt-marshes, dunes and boundaries are the most typical stamps of the National Park of Doñana, declared Patrimony of Humanity and Reserve of the Biosphere by the Unesco. Besides enjoying surroundings of high ecological value, one can also practice hunting and fishing and all water sports in these places. The cultural supply comes from Aracena in Huelva, with its castle and its Gruta (cavern) de las Maravillas. North of the province we find tha Natural Park of la Sierra Norte and its most emblematic town, Cazalla de la Sierra. The Dehesas (meadows) of Sierra Morena, north of Huelva, Seville and Cordoba, have been declared Reserve of the Biosphere..
DBack in the city, the Guadalquivir river is the perfect frame for many aquatic modalities, like sailing or canoeing. 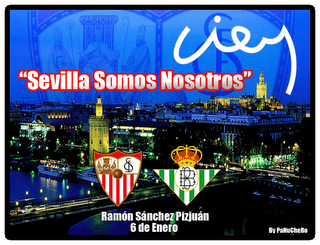 In Seville, football is lived with real passion. The hispalense capital counts with two historical teams in the maximum category of the spanish league, the Seville Footbal Club and the Real Betis Club, which every weekend draw the attention of thousands of fans. And if what you wish is to improve your par, Seville offers the best climate throughout the year to practice golf in any of the magnificent existing fields in the environs of the capital: Golf Club las Minas, Royal Pineda Club of Seville and Zaudín Golf Club. Many entertainment options for the little ones. 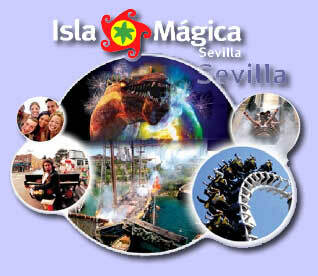 Seville offers countless possibilities for children. No doubt the main supply that the hispalense capital has to offer for the youngest ones lies in Isla Mágica. Located in the island of the cartuja, this thematic park will take us to the time of the discovery of America, throughout numerous attractions, shows in direct and multimedia activities, all held in the central lake. The cultural agenda keeps the little ones very much in mind. In the month of may, the Alameda Municipal Theater welcomes the Puppets and Marinettes Festival, as well as different cycles of theater for children. On the other hand, the numerous movie theaters distributed all around the city, offer morning sessions and include in their billboards the last releases for all publics. A refreshing option in summertime is the Aquópolis Seville Guadalpark, an aquatic park that offers incredible water slides, several swimming pools and other complementary attractions, like the karts track or the animals exhibition. Leaving the city, in the locality of Guillena, we find Mundo Park which incloses a botanical park, a zoo and an amusement park. The spaces specially intended to the knowledge of fauna and nature occupy a very privileged place in the province of Seville. 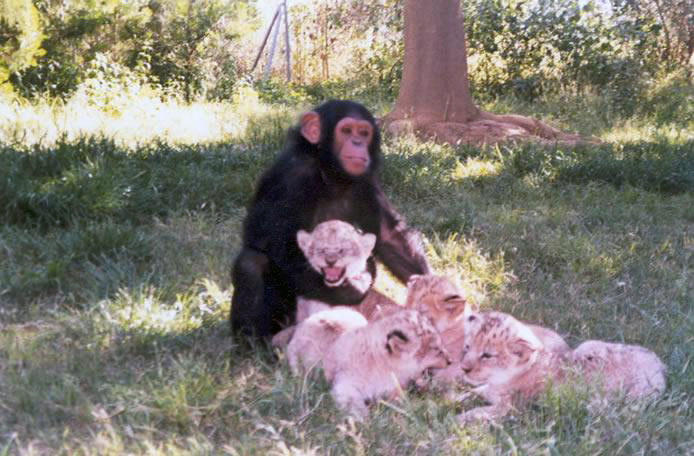 Main options are the Zoo in Carmona, educative park sheltering a great number of birds and mammals species; the Natural Reserve El Castillo de las Guardas, with exotic animals living in semifreedom condition.